The Mt. 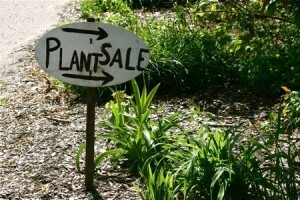 Laurel Garden Club annual plant sale is coming soon. A Master Gardener will be available to answer plant related questions. Proceeds from the event will benefit scholarship for high school seniors. The event will take place April 30 from 9 a.m. to 1 p.m. at the Mt. Laurel Library, 100 Walt Whitman Avenue. A huge variety of sun and shade perennials, herbs, shrubs and vegetable plants will be available. For more information on the club, visit our beautiful website http://mtlaurelgardenclub.com/.